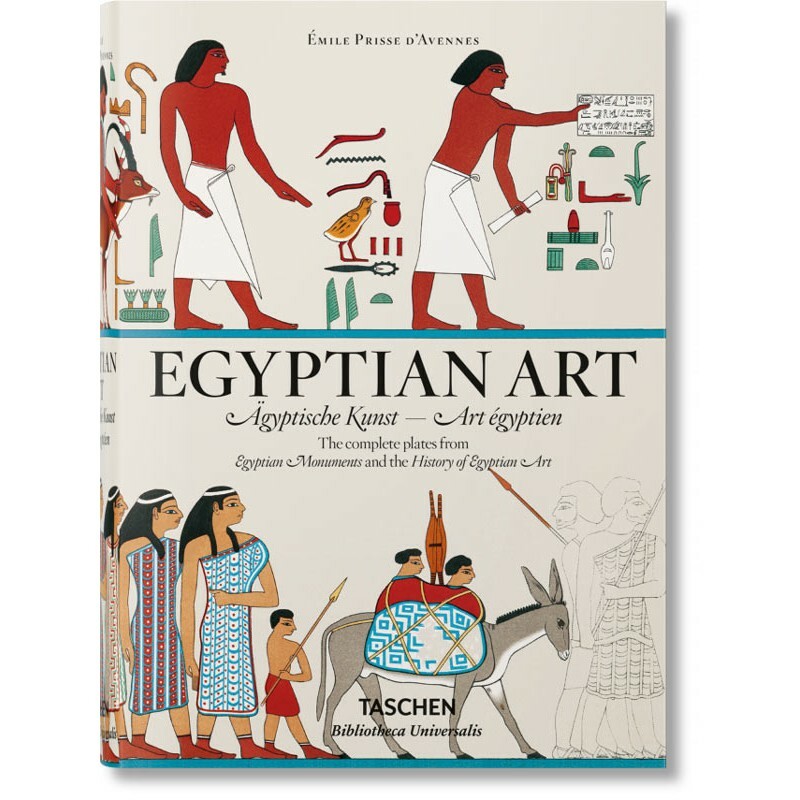 A lifelong devotee of ancient Egyptian and Oriental culture, the French author, artist, and scholar Achille-Constant-Théodore-Émile Prisse d’Avennes (1807–1879) is famed as one of the most influential Egyptologists, long before the discipline was even properly established. 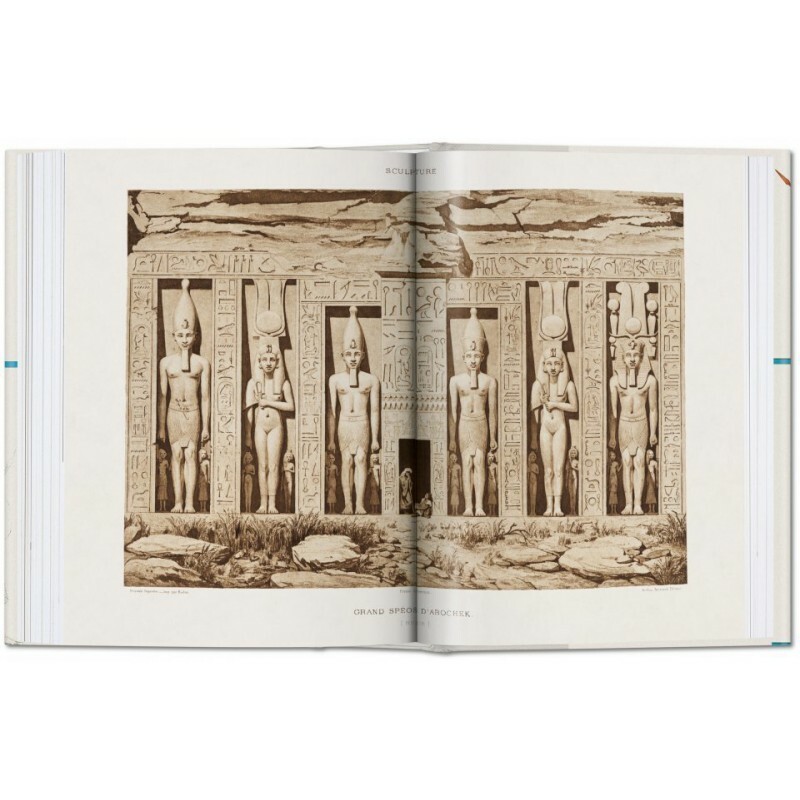 Prisse first embarked on his explorations in 1836, documenting sites throughout the Nile Valley, often under his Egyptian pseudonym, Edris Effendi. 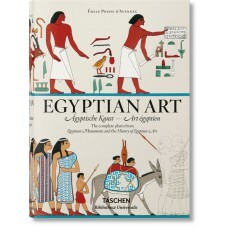 Prisse’s first publication of notes, drawings, and squeezes (a kind of frottage) came in the form of Les Monuments égyptiens, a modest collection of 51 plates, but one met with considerable acclaim in popular and intellectual circles. 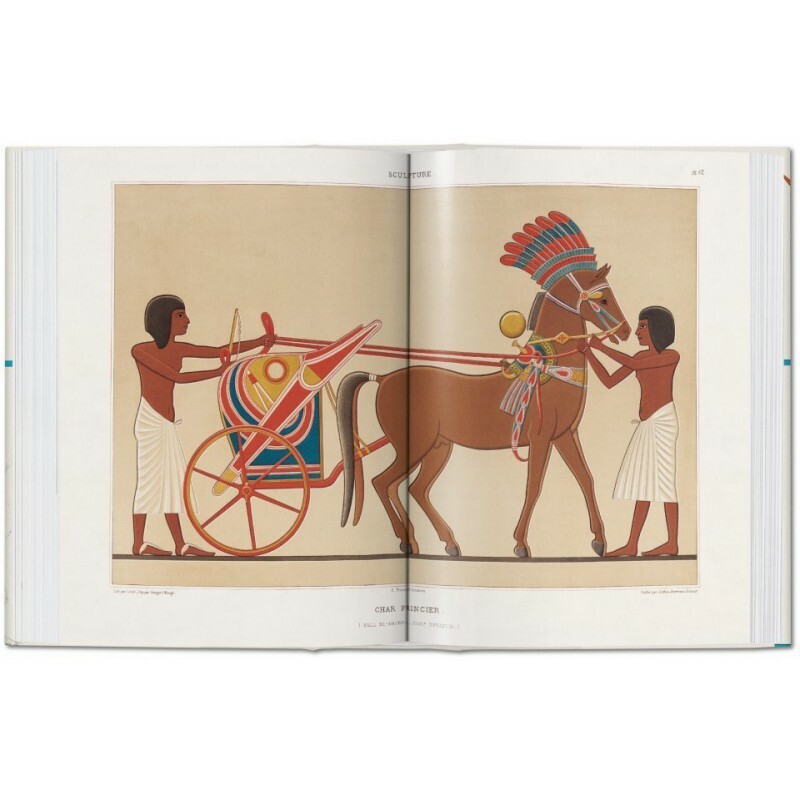 Encouraged by his success, Prisse returned to Egypt in the late 1850s to expand his work into the collection L’Histoire de l’art égyptien—together with his first volume, these two tomes make up a truly complete survey of Egyptian art. 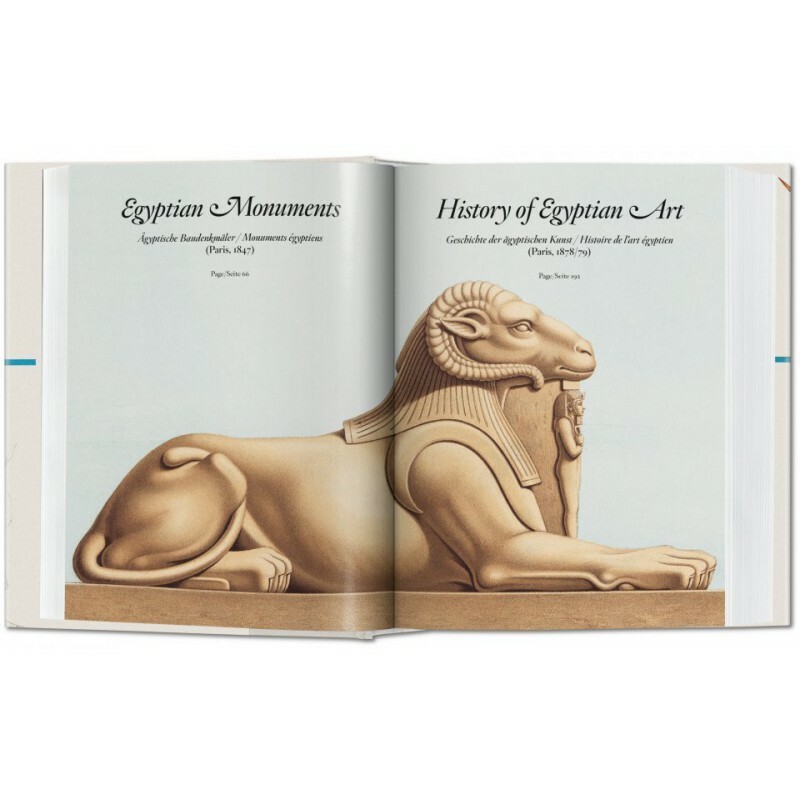 His albums cover architecture, drawing, sculpture, painting, and industrial or minor arts, with sections, plans, architectural details, and surface decoration all documented with utmost sensitivity and accuracy. 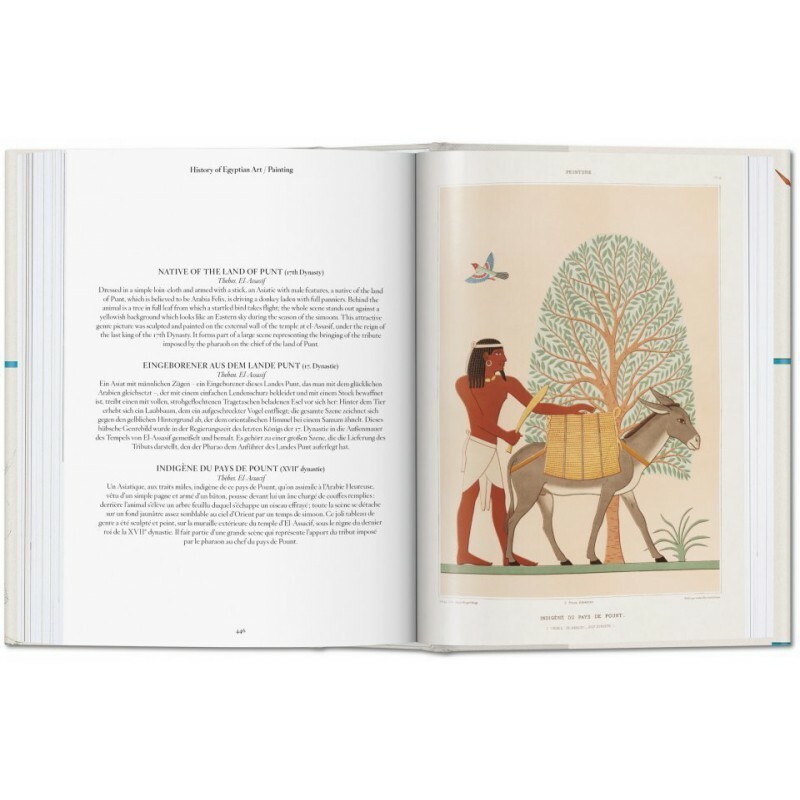 Even when compared to the products of the great state-sponsored expeditions to Egypt of this period, Prisse’s compendium remains the largest, single-handed illustrated record of Egyptian art in existence. 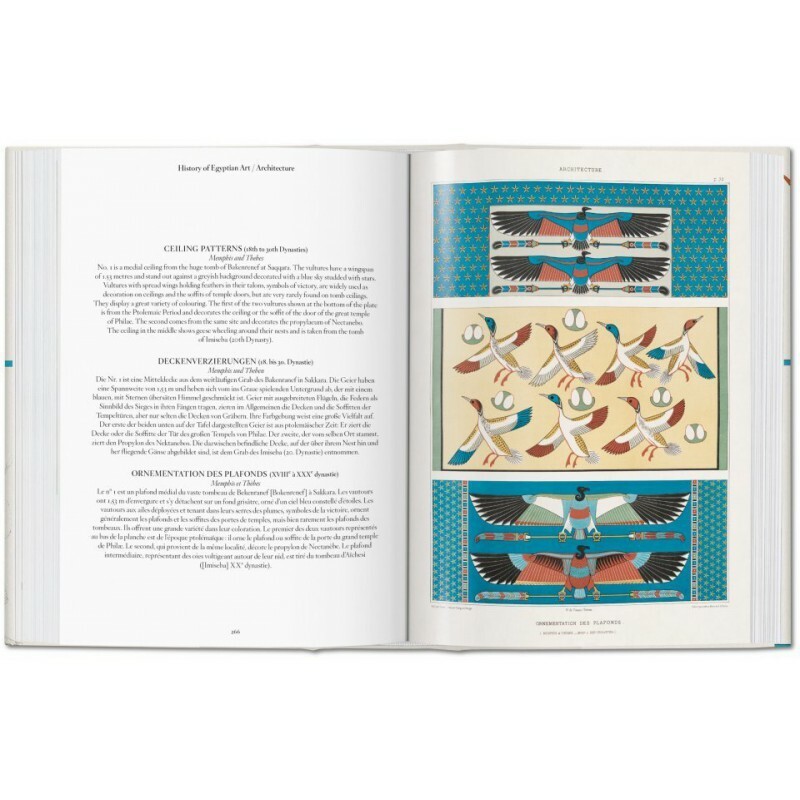 Discover the complete collection of Prisse’s unsurpassed illustrations in a visual and archaeological feast of symmetry and complexity. 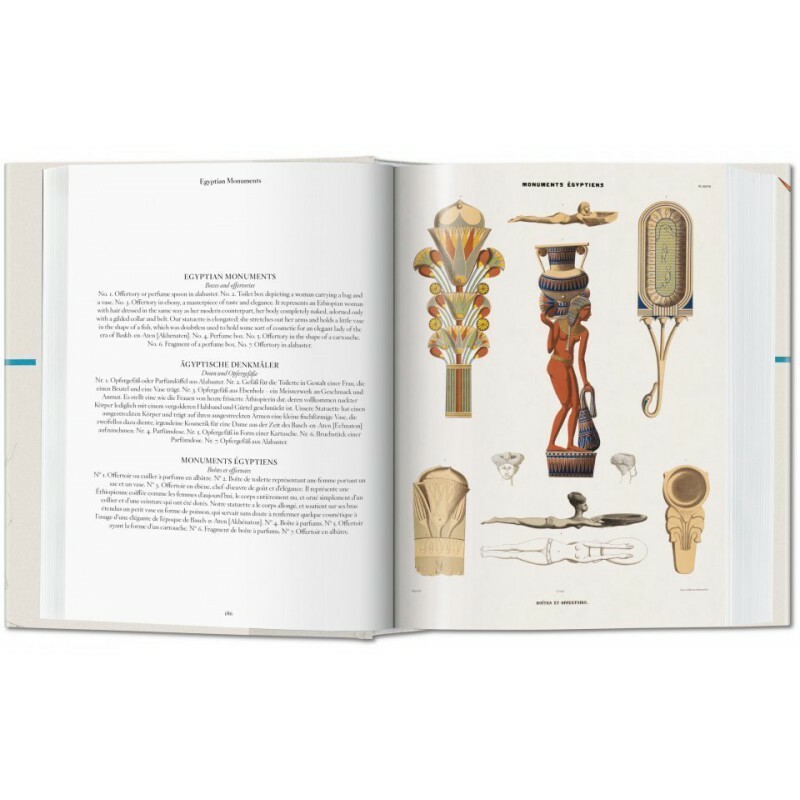 Once exclusively available as an XL-sized title, this Bibliotheca Universalis edition captures all the mystery and opulence of Prisse’s groundbreaking collection in an affordable, compact format. Salima Ikram is a professor of Egyptology at the American University in Cairo and has participated in many Egyptian archaeological projects. After double majoring in history as well as Classical and Near Eastern Archaeology at Bryn Mawr College in the United States, she received her MPhil and PhD in Egyptian Archaeology from Cambridge University (UK). She has directed the Animal Mummy Project, co-directed the Predynastic Gallery Project and is co-director of the North Kharga Oasis Survey. As an acknowledged expert she has lectured on her work all over the world. Salima Ikram is also the author of several books on Egyptian Archaeology, publishes in both scholarly and popular journals, and is a contributor to various magazines.